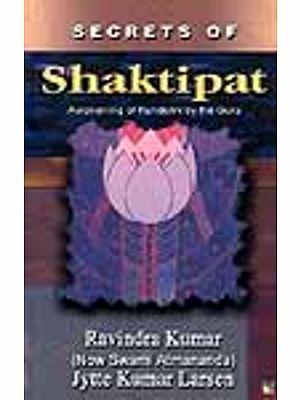 It is a treatise of Tantrayoga of paramount importance which incorporates a vast area of study relating to spiritual practices of this unique discipline. The work not merely lays emphasis at the prime end of human life i.e. emancipation, but it very systematically outlines the inherent spiritual aspects of Tantrayoga which are also required for the development of both psyche and physique of the aspirant. It virtually teaches the practice of spiritual evolution in such a manner that the practitioner is able to achieve both Mukti and Bhukti i.e. liberation and physical comforts. 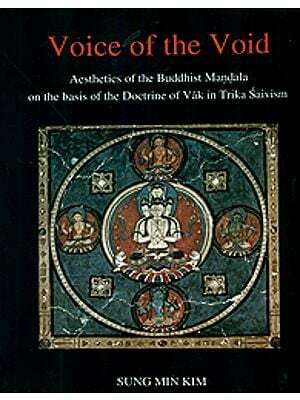 The highly salient themes of this work are the Invocation of the Supreme Yogi Lord Siva or purification of the Tattvas by concentrating and penetrating the Six Cakras, the practice of the Pranayama, forms of Durga, the rite of Mantroddhara, Purascarana rite, description of Yantras, awakening of the Kundalini Sakti, the process by Dhyana, adoring the different deities by chanting their respective bija-mantras, the importance of the Guru, the ceremony of the Abhiseka, the value of the Panca-tattvas or Pancamakaras for the Sadhaka, the mental proclivities, Samadhi and the process of adoring several other deities for achievement of Siddhis of the Tantra. The value of present translation of the work by a learned genius like M. N. Dutt has been further enhanced by adding here the trans-literation into Roman English together with the Sanskrit verses. It is hoped that the scholars as well as the Sadhakas of Tantrayoga will find highly useful. J. L. Gupta with brilliant academic career, obtained P. G. Dip. in Book Publishing from the College of Vocational Studie, University of Delhi in 1985 securing first division. He has been keenly involved with the editorial acticvities of books for more than two decades. he has edited and translated several books besieds writing certain articles for journals. He is well conversant with athe nuances in writing, editing and production of books. He has more than 20 books to his credit. Some of his edited and translatedworks are Challenges to the Indian Women, Jaina Yoga Meditation in the Light of Yogabindu, Hymns of Lord Siva, Hymns of Shri Krishna, Hymns and Prayers of Goddess Durga, A Dictionary of Administrative and Legislative Terms, Hindu Gods and goddesses, Miracles of Mantra-Sadhana etc. His areas of interest are Yoga, Indian Culture and Spiritual studies. Currently he is engaged in writing, editing and translation of religious books of Sanatana Dharma in a series for Indo-US Books, Newyork (USA). The knowledge of Supreme Reality is gained from the study of vast ancient Hindu Scriptures, the spiritual revelations of the Master Minds, and the ancient Acaryas who have interpreted them. That the supreme lord has created the world of matter and spirit is unequivocally advocated by all the Scriptural teachings. Lord Siva, the supreme Master of the Universe is also the Lord of Yoga and Tantra from where the sacred knowledge of Tantra has emanated. Several of Hindu Tantras, which occur, are very much like the Puranas consisting of dialogues relating to the worship of gods and goddess. With Siva the Godhead, and Sakti the premier Goddess. 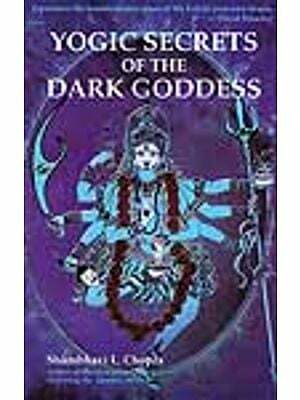 Lord Siva describes here various religious topics to his consort Paravati that takes the shape of Tantra worship. The three classes of Tantra described by Lord Siva are known as Agama, Yamala and Damara. As is visible from the following extract of the Mahanirvana Tantra, the age of kali is an age of degeneration. People of all walks of life have got vitiated. They no longer have spiritual bent, they are less educated in Scriptures, and are, therefore, unable to understand the purport of Vedas, Samhitas, Samrtis and Upanishads. It is due to this object in mind that Lord Siva promulgated Tantras as easy instruments for deliverance of good and well-being to the people and even further the Moksa-vina agama margena kalau nasti gati priye. The two streams of Indian thought representing Agama and Nigama which have continued since days of you are equally important. Both of them ultimately lead to one goal i.e. the welfare of people in this World and after that to the Abode of the Supreme Lord. Whereas the Nigama is based on the Sadhana reflected in the Vedas, Agama is known as Tantra reflected through the dialogues of Siva and Sakti. 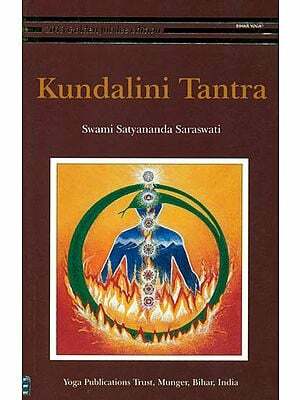 Derived from the root tan Tantra means the Sastra, which propagates the knowledge of delivering trana or moksa- tanyate vistaryate jnanamanena iti tantram. Tantra is the first step to enter the kingdom of the Brahman and to ultimately reach the acme of perfect Bliss. Vachaspati Mishra's definition of Tantra advocates for the human welfare, both mundane and supra-mundane. The Mahanirvana Tantram is the most important of all the Tantras that are to be found now. It consists of two parts. The text of the first portion only has been published in Bengal. The second part, a reference of which is to be met with in the first, is not to be found anywhere. I made many attempts to find it out but all to no purpose Sometime before an information reached me that the Text of the second part was available in the temple of Kamakhya in Assam, I tried to have a look at it through some of my friends and on inquiry it was found that the text there is nothing but a version of the first part that we have translated. To readers who are not well acquainted with Sanskrit this English version, we hope, will not be an unwelcome guest. 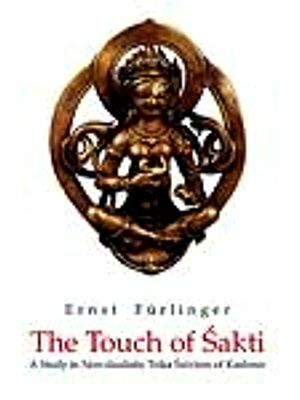 This will give them an insight into one department of Sanskrit literature which is very popular in Bengal the cardinal teaching of this great work is the worship of one True God, which the author, despite many mystical and superficially technical passages, advocates in every page of the book. The style is charming and in many passages, true poetics touch is to be seen. I have tried my best to translate the work as much literally as is possible making the sense clear. The duty of the translator is to inter prêt clearly and distinctly the ideas and thoughts of the original author. How far I have succeeded in this depends upon the judgment of my readers. I have given copious foot-notes to make the obscure passages clear. In the introduction I have attempted to give a short digest of Tantrika teachings. It will help the readers in understanding the original work. 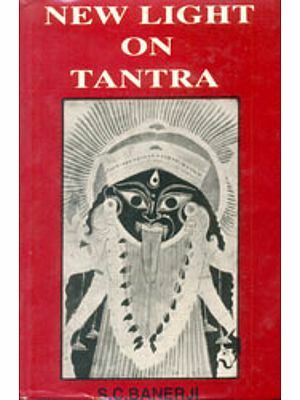 For this purpose, I have consulted almost all the Tantrika works that are available in Bengal. There is no other Tantra more important than this and I hope the translation of the Mahanirvana Tantram will place, before the English knowing public, a key to unlock the portal of Tantrika teachings which once swayed and have been still swaying over the many millions of Bengal. The literature of Tantras is not so universally popular and authoritative as is that class of sacred writings of the Hindus which pass under the appellation of the Puranas. Its reputation has not traveled far and wide for none amongst the Western scholars has paid any attention to this department of Sanskrit Literature. What to speak of foreign countries its name is not even held in very much reverence in any other Province of India than Bengal. Many Indian scholars of repute are of opinion that the Tantras are purely the production of the soil of Bengal. The peculiar practices and rites of the followers of Tantrika religion which superficially appear abhorrent and disreputable have stood much in the way of the spread of its reputation and name. No form of religion has escaped the hands of corruption and superstition and that has also been the case with Tantrika religion. But to consider impartially it yields in merit and excellence to no other department of ancient Hindu thought. In Sanskrit literature we meet with two classes of Tantras, Hindu Tantras and Buddha Tantras. As is the case with Puranas Tantras consist of dialogues relating to the worship of God and other theological topics. 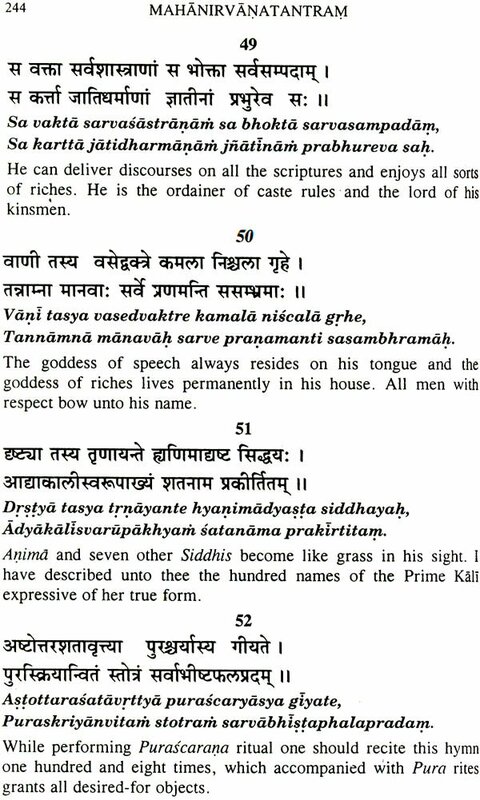 In the former class of compositions Siva describes various religious topics to his consort Parvati and in the latter Buddha describes them to his followers. It is with the former we have particularly to do.